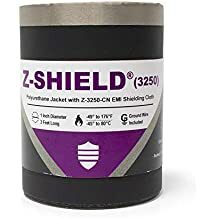 Shrink N Shield Tw - Emi Shielding Heat Shrink - Heat Shrink - Products - ZT | Zippertubing Co.
0.1875" 0.25" 0.375" 0.5" 0.75" 1.0" 1.25"
Shrink-N-Shield (TW) combines two proven technologies into a single, easy to install product for adding EMI shield protection to wire and cable bundles with diameters of 5/8" and less. Makes adding an EMI shield or secondary EMI shielding to wire and cable a snap. 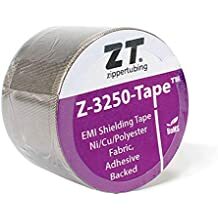 This product is comprised of a thin wall, 2:1 commercial heat shrink tubing and Zippertubing's Z-3250-CN conductive cloth which has outstanding shielding properties. The product yields an outer jacket that is thinner than standard 2:1 tubing and is ideal for tight fit or close wire grouping applications. The product has an operational temperature range of -55 to 121°C. This product is supplied in four foot long sticks. Diameter Before Shrinkage 0.1875" 0.25" 0.375" 0.5" 0.75" 1.0" 1.25"